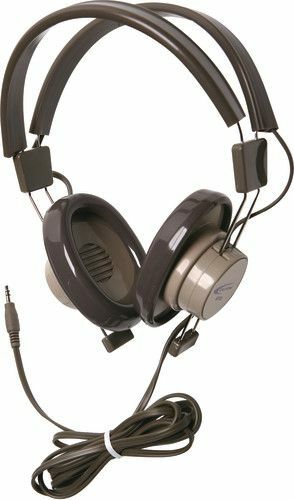 One of the best headphone values for use in education, the 610 Binaural Headphone is known for its comfort, quality, versatility and affordability. Its durable construction enables it to hold up to the heavy day-in and day-out use from students. It is trusted and widely used in typical mono functions (ELL / ELD, language labs, speech pathology) and stereo modes with computers, gaming and for music appreciation classes. 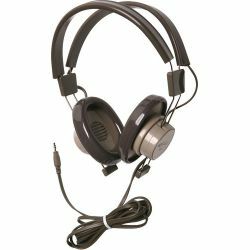 The 610 Binaural Headphone is ideal for use in computer labs and libraries in 1:1 applications and small group learning centers with educational software. It's iCompatible with iOS, Windows and Android-based tablets, smartphones, laptops and desktop computers as well as Chromebooks. Featuring over-the-ear earcups that are ambient-noise reducing to help keep students on task while minimizing the need to increase the volume. It has protective slotted baffles protecting the inner speakers against accidental puncturing from sharp objects (such as an unfolded paper clip). The earcups are connected by steel-reinforced dual headband straps which are designed to be equally comfortable for younger students or for when used in adult education classes. The headbands have a “memory” feature that no matter how they're bent or twisted, they “remember” their original shape and spring back.